Are you looking for an awesome guitar without going over budget? If you only have $500 to spend but you want the one from renowned brand, what would you go for? You can go searching for the prices in popular guitar magazines but there’s no avail! Chances are you might end up getting depressed out of it. You might even think that the best guitars are out of your reach with $500 budget. It seems like every one in the bands you love plays a guitar costing thousands of dollars. The question is how could you manage to get the best guitar for you if you’re a student or just an average working Joe or Jane? I don’t think anyone has a spare $2000 sitting around to plunk down on a new Gibson. Not me, and I suppose not you. To be honest, I am not a guitar expert. But being a music fanatic, I had always fantasized about getting an awesome instrument for me someday, and I’ve even purchased few earlier. But it took me so long to realize that the price tag on the guitar doesn’t always make it sound better, nor does it make you play better. On top of that, the great guitars don’t have to cost you a fortune as well. With some serious researches on the current market, I have come up with this list of some of the great guitar brands that could be found for under $500 (at the time of writing). You won’t find ’em as pretty and perfect as their more expensive brothers for sure, but they are solid instruments that a good player can make great. Yamaha, one of the renowned Japanese companies, seems to be a one that makes a little bit of everything. It makes organs and bass guitars, electric guitars and band instruments as well. But while it comes to quality, their acoustic guitars are always excellent. Launching various outstanding instruments for all levels of players over the years, Yamaha has truly stood the test of time. Among many guitars by the Company, Yamaha F-Series Acoustic Guitars are known to be relatively affordable in the market. For its surprising sound qualities and ease of play, Yamaha FG700 is widely considered one of the best acoustic guitars to start with. 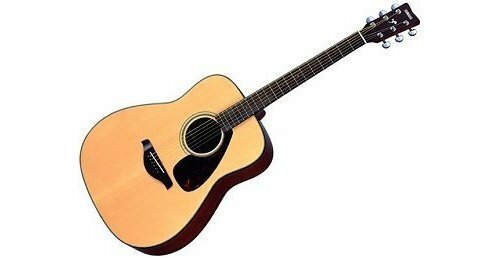 At the time of preparing this article, Yamaha FG700S Acoustic Guitar was available in Amazon for only $199. Since the times of ’80s and ’90s, ESP has been contributing for the creation of incredible and high quality original instruments. While it comes to hard rock and metal genre, we can see some of the best professional musicians in the world still using ESP guitars. ESP guitars are best known for their excellent original designs and legendary ESP-LTD guitar designs. ESP guitars are great guitars for money and feature for sure. At the same time, if you are looking for the guitars under $500, ESP ST203FR Electric Guitar can be the excellent choice! ESP ST203FR Electric Guitar – Distressed Black costs you around $350. If you are looking for the best acoustic guitar brands, Seagull guitars are definitely among the best values you are going to find. Made in Canada, Seagull guitars are best known for their design and prices. You are going to find high quality design and unique tonewoods in Seagull guitars within an affordable price. However the prices can differ with the models, Seagull S6 Original is known to be one of the perfect choices for beginners and intermediate players and will only cost you around $350. With their massive popularity during ’80s, Washburn guitars were the cream of the crops in the hard rock and metal guitar genre. However Washburn guitars aren’t quite famous these days, they still feature some of the nicest guitars of present time as well. Not only best in quality but some models of Washburn guitars are found to be quite affordable as well. 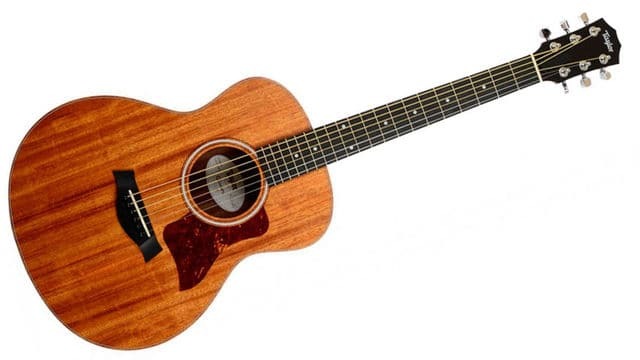 Washburn D10 Series Acoustic Guitar costs you around $350. Washburn guitars are also known to be one of the oldest American guitars of their kind. Over last thirty years, Jackson has been the undisputed heavyweight champion if you speak of metal and hard rock guitars. Jackson is renowned as the maker of some of the excellent metal guitar designs including King C and the Kelly. Whatever you call me, I really don’t see any of the Jackson models as cool as Jackson Soloist. On top of that Jackson X Series SLXT Soloist Electric Guitar is quite affordable as well. Having said that, there are many Jackson Soloist models for which you can spend some big cash if you really want to. But Soloist SLXT just costs you around $499 giving you a great option without running up the credit card. No doubt, Taylor Guitars are among the best guitars in the world. With their incredible designs, Taylor guitars usually don’t come cheap. If it comes to American made acoustic guitars, Taylor guitars are considered the front ranking ones. With their excellent quality, Taylor guitars became the no.1 choice for many popular musicians. But if you are looking for Taylor guitars under $500, Taylor Guitars GS Mini will be a perfect choice for you. It will cost you around $499. Along with Gibson, if you have to name the most recognized guitars in the world, it’s probably Fender guitars. Fender Stratocaster and Telecaster are even touted as two of the greatest guitars ever made. With myriads of configurations and designs, Fender offers some of the excellent quality guitars. But some of the Fender guitars are known to be less expensive as well, if compared to the guitars with same quality. Fender Standard Stratocaster guitar only costs you around $400. Fender’s Standard Stratocaster is actually the lower budget version of American Standard Stratocaster. Schecter guitars are some of the best deals in the music world. For good reasons, Schecter has gained massive popularity in recent years. If you want a medium budget instrument, Schecter guitar is probably finest guitar available out there. With their price range, you’ll hardly find any guitar with such an excellent quality. Most of the Schecter guitars are based on Schecter C body shape model which is considered as one of the great designs and also one of the easiest guitars to play. Schecter Damien Special Electric Guitar – Crimson Red model is available at about $499. Especially for the hard rock and metal lovers, Ibanez guitars are legendary. Ibanez feature some really awesome guitars for reasonable prices. Ibanez RG is probably the most iconic instrument by them and many RG models will land you within the $500 spending limit. Ibanez RG Tremolo RG350DX Electric Guitar—White will cost you about $380. To me, the best thing about Ibanez guitars is their necks. They make some of the fastest and flattest necks out there. In recent years, they have even started to bring back the beautiful maple fingerboards. You can find and RG to meet your need depending on your playing style. Epiphone used to be one of the biggest competitors of Gibson, once upon a time. But now Epiphone is owned by Gibson and is considered budget-minded little brother of Gibson per se. Based on the designs of Gibson, Epiphone guitars are available in both acoustic and electric models. If you we look closer, we can see few differences between both Epiphone and Gibson. Actually the differences go deeper than cosmetics, if it comes to the hardware and its quality. But anyway, it’s going to be great news for young players who are looking for a great guitar that sounds like Gibson, looks like Gibson, but doesn’t cost nearly as much as Gibson. Epiphone Les Paul Standard will cost you around $400. This list serves you ten of the great guitar brands that you can get under 500 dollars. I’ve just given you some starting points for selecting good as well as affordable guitars for you. If you are looking for the less expensive guitars, there can be many other possibilities for you. I suggest you to get out there and play as many guitars in and around your price range as you can prior to making a selection. You will likely discover some others on your own. Good luck finding the best guitars for your $500 budget. Disagree with the list? Please feel free to share your part via comments.